Though fragile, the Tortugas reef complex supports a wealth of marine life. Multicolored sea fans sway in gentle currents. Sea anemones thrust upward their rose and lavender tentacles in search of food. 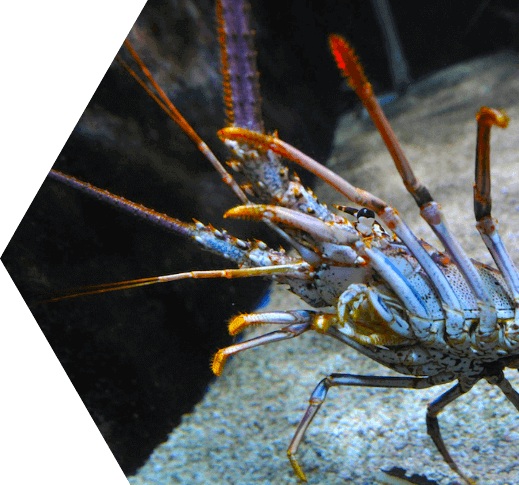 Lobsters anticipating danger wave their antennae. Sponges dot sandy bottoms, and staghorn coral clusters simulate underwater forests. Most obvious among the coral reef inhabitants are the colorful reef fishes. Vivid, boldly patterned reds, yellows, greens and blues work as camouflage, identity, warning and courtship messages. Predatory fish include amberjacks, groupers, wahoos, tarpon, and atop this coral food pyramid, sharks and barracudas. Hunted by humans – mostly illegally – for gourmet meat, leather, and cosmetic oils, sea turtle numbers have diminished greatly worldwide, but green, loggerhead, and hawksbill species are still seen at the Fort Jefferson Dry Tortugas National Park. 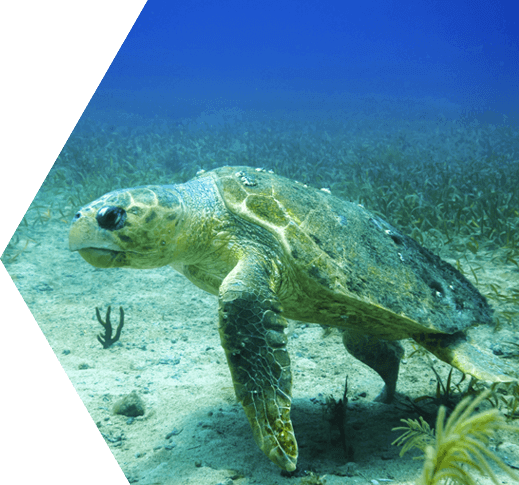 Sea turtles themselves prey on small marine invertebrates and forage turtle grass and other aquatic plants. Twice or more per season, females climb onto sand beaches to dig out nests, lay eggs, cover them and retreat seaward. Hatchlings crawl seaward by instinct, but most succumb to natural predators between nest and sea. It is critical that humans do not disturb sea turtles.